Internet is vast and so the opportunities on it. Internet has bring all the facilities at your computer screen even the education. 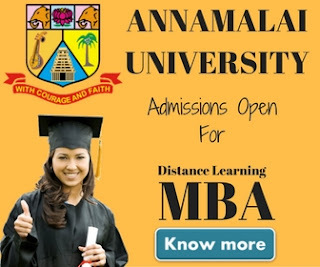 Now you can join any course online even the most popular, MBA. 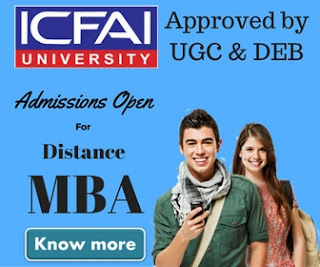 Universities & Institutes around the globe offering various Online MBA Programs to working & non-working students. With the help of internet you can get an admission in the university you want even the university doesn't locate in your country, that means a person from India can take an admission into Harvard University located it US or Oxford University located in UK. In our today's post we'll be discussing about various Online MBA programs trending on Internet these days. The first program the we have in our list is an Online MBA program offered by University of Florida. The university started its program ten years back & the program has been ranked #1 in the world by The Economist. If you join this program you only have to come to the Gainesville campus once per term (once every four months) for a Saturday and Sunday. The university offers this program with two years & one year option. Both options require two years of full-time, professional work experience. For more information about the program we suggest you to visit University of Florida Website. The Online MBA degree program offered by Spears School Of Business is yet another trending management program on internet. The MBA is 36- to 48-credit-hour program requires 33 hours of core courses and 15 hours of electives. Applicants must have a four-year undergraduate degree from an accredited university or college, possess a competitive GMAT score and at least a 3.0 GPA. Work experience is preferred but not required. Get more information on Spears School Of Business website. The third program that we've in our list is an Online MBA program offered by Western Kentucky University. The Online MBA option, WKU Connect, can be a part-time or full-time program allowing working students to take up to 3-12 hours per semester. The candidate must be minimum undergraduate & must have overall grade point average(GPA) of 2.75 on a 4.0 scale, a minimum overall GMAT score of 500, and a written GMAT score of 3.5. Visit WKU website to know more. Morehead State University offers AACSB accredited online MBA program which ranks fourth in our list. all students must complete 24 core (required) hours and 12 hours of free electives during the program. To know more about the internet program visit Morehead State University website. University of Michigan-Dearborn offered its Online MBA program on weekday evenings as well as online. The program gives you an ease to pursue an MBA while balancing your job, travel, or life commitments. You can begin your MBA in September, January, or May. Students may earn their degree entirely through evening on-campus courses, or entirely through online MBA courses, or through a mixture of both. Visit University of Michigan-Dearborn to know more. The university offers a 30-credit Consortium MBA program specially designed to meet the requirement of people from all industry. A GMAT score of 475 or above & Cumulative undergraduate gradepoint average of at least 2.75 is required for the admission. Visit University of Wisconsin for details. The online MBA program offered by W. P. Carey Ranked Top 14 by U.S. News & World Report. one on-campus visit required during the program. Average GMAT score of 577 & Average GPA of 3.2 is required for this program. Visit W. P. Carey. Post University is accredited by the New England Association of Schools and Colleges and licensed by the State of Connecticut offers an online MBA program through its The Malcolm Baldrige School of Business. The candidate need not required to appear into GMAT test to enter the online MBA program. The university offers this program six times a year. It's a 45 credit online MBA program that you can complete in 14-20 months. Visit Post University. This is what our team is found is trending on internet, now its your turn, let us know if you know some good online MBA program or wants to review any Online MBA Degree Course. You can mention your thoughts in the comment box below or can use our contact us form to reach us.